Do you ever look around and wonder how the heck everyone else is knocking it out of the park? They’re running booming businesses, making it to the gym every day, and still have time for relaxing weekend BBQs. Well, the secret is they aren’t doing it on their own. And they didn’t have to jump through hoops to get top-notch help. They just started working with a Virtual Assistant. Owning a business is stressful. Many moving pieces have to be taken care of day in and day out for the operation to run like a well-oiled machine. Not to mention the stress of keeping your clients happy and making enough money to sustain your business and your life. Without an extra pair of helping hands, you’ll always be wishing for extra hours in the day, or at least the ability to type and send emails at the speed of light. With the help of a Virtual Assistant, you’ll suddenly have time to gain more leads, close more deals, and still have time for yourself. It’s no secret–hiring a VA is all you’ve needed for your business and personal life to flourish. There are times when you need to work with someone in your office. However, there are many times when you don’t need someone in-house. 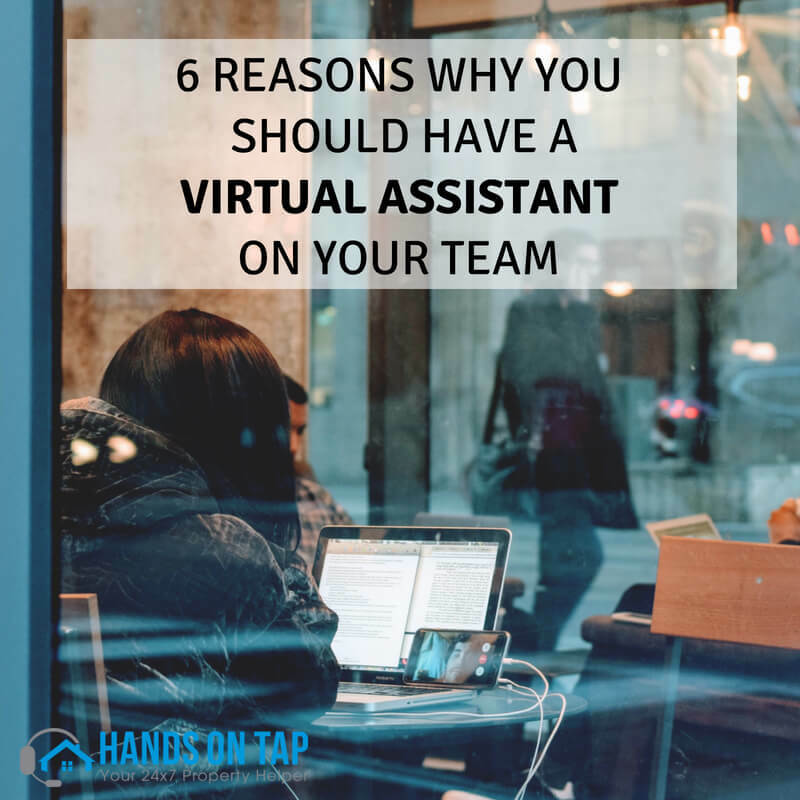 A Virtual Assistant isn’t an actual “employee.” They are independent contractors so, from a numbers standpoint, they are literally just a business expense. With a Virtual Assistant you are free from all the worries of payroll costs and offering benefits, and there is no need for more office space or equipment. A Virtual Assistant can do everything a salaried employee can do for you, but maybe they have the skills to do more! Owning a business means you have to be ready to wear many different hats. Your schedule is stacked, and sometimes you feel like you’re spread way too thin. It’s normal to feel overwhelmed at times but you shouldn’t always feel like you’re in too deep. A Virtual Assistant can tackle the smaller, repetitive tasks. This will free up your schedule to focus on clients, projects, and the overall growth of your business. Real estate agents spend a boatload of time driving to and meeting with clients. Many times when they hear the phone ring, it gets sent straight to voicemail. Have all calls and emails directed to your VA who can field general questions, take a message, and schedule appointments. It removes the need to return most phone calls and all clients will be impressed to hear a helpful human voice on the line. You can work with Virtual assistants in different time zones to bump your customer service to the next level. A client can call your VA with a question late one evening and expect to be prompted by a chatbot or answering machine. Wouldn’t they be surprised to have their call answered by your VA living the other side of the country? That type of personalized service is a nice touch, and sure to steal the hearts of your clients. Social media, video, and content marketing are the norm these days. The standard practice is that every business has an online presence, but that’s a ton of work! From blogs and e-Newsletters to Youtube channels and social media, Virtual assistants can help you implement and maintain a strategy. Many small businesses need help, but they don’t have enough tasks to keep a full-time employee busy. Others might need help when activity spikes during certain months of the year. With a Virtual Assistant service, you have the option to use them for a couple of hours per week, or a couple of hours per day. You have the opportunity to adjust those numbers as needed. When integrated correctly, Virtual Assistants can be a fantastic asset to your business. Bring someone on board whom you can trust and establish a strong working relationship. Delegate tasks based on your needs and you’ll soon find yourself building this person into your business plans. Bonus #7: Do you have a new property, business venture, market or anything else you’ve wanted to research? Expanding your business requires research before you invest a lot of money. Have a VA do some basic research for you, saving you time & money, and opening up new possibilities.